Issue 2: F-Word Flint & Pitch party. A few weeks ago we unveiled the brill line-up of Issue 2 of 404 Ink, publishing at the end of May 2017. It's... rather close to the end of May 2017, so you might rightly be wondering where it is. Due to unforeseen circumstances - cough, thanks technology, cough - the magazine got held back a bit, but it's off to print and will now be out in mid-June. However, we are bloody delighted to announce that we're joining forces with Flint & Pitch for their last Revue of the season to launch the mag. 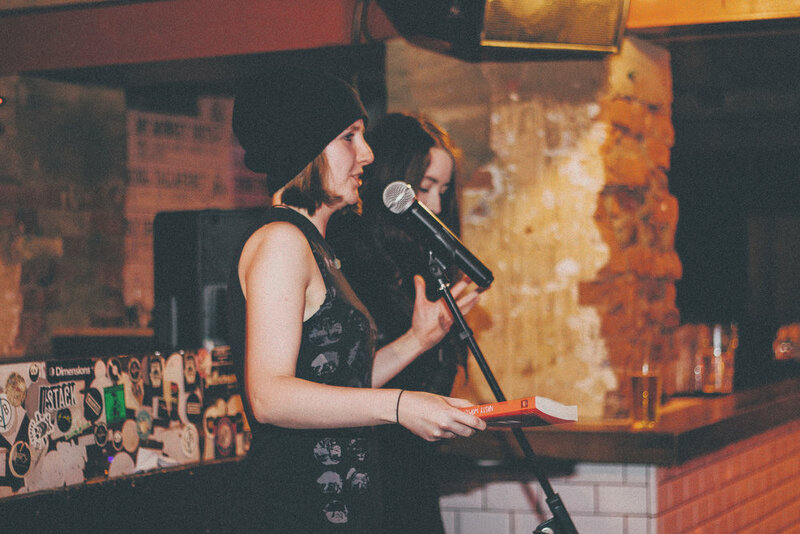 Their stellar line-up already features four of our contributors - Nadine Aisha Jassat, Kirsty Logan, Jenny Lindsay and Cameron Foster - so they've kindly let us jump on board to launch F-Word at Edinburgh's Bongo Club on Friday June 23rd. 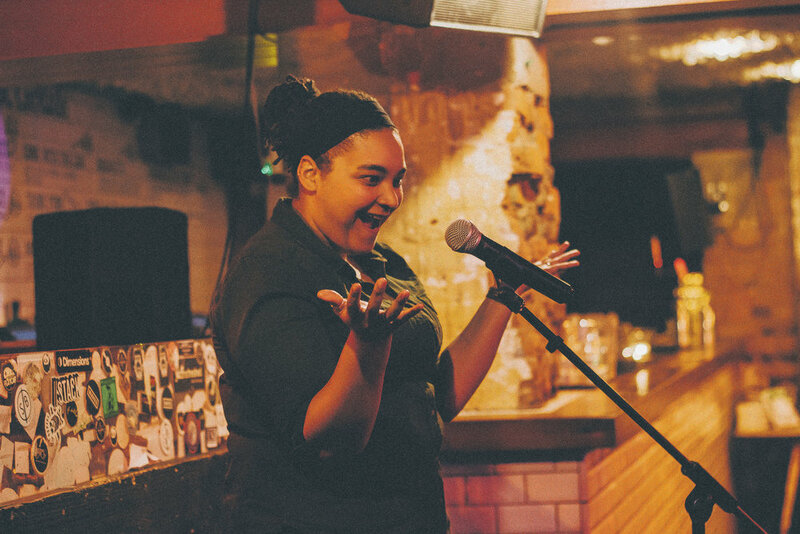 Flint & Pitch run absolutely ace nights of spoken word and music, so come along! So, that's where we are. Thanks everyone for your patience, no thanks to technology for being a pain, and we'll see you all in June for a fun night, okay? You can book your tickets here, join the Facebook event for the latest information, and pre-order your copy of the magazine here. 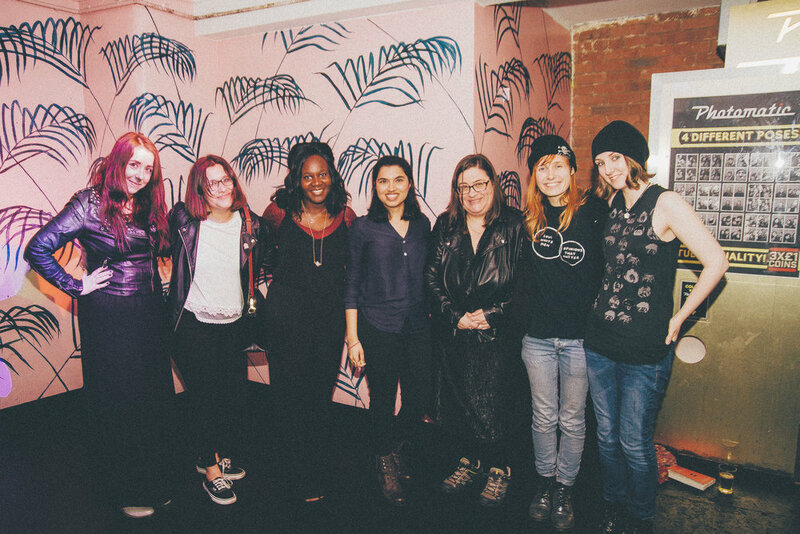 We joined forces with our pals at For Books' Sake and headed down to London for one hell of a Nasty Women launch party at the end of March. It was unreal. 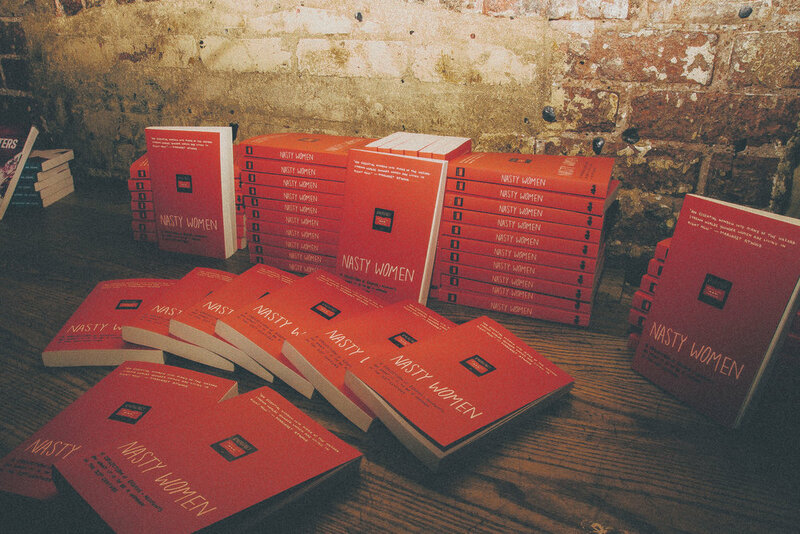 Here's a lil glimpse at what we got up to. 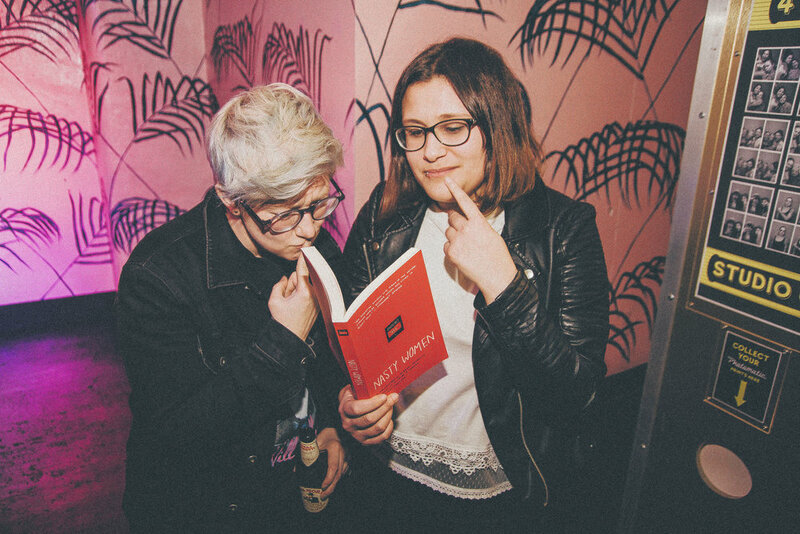 Remember, if you've not got your copy of Nasty Women yet, you can buy one here. We're chuffed to be gatecrashing Interrobang's end-of-the-year shindig on December 9th at Bongo Club, Edinburgh to launch our wee lit mag, and you're invited! 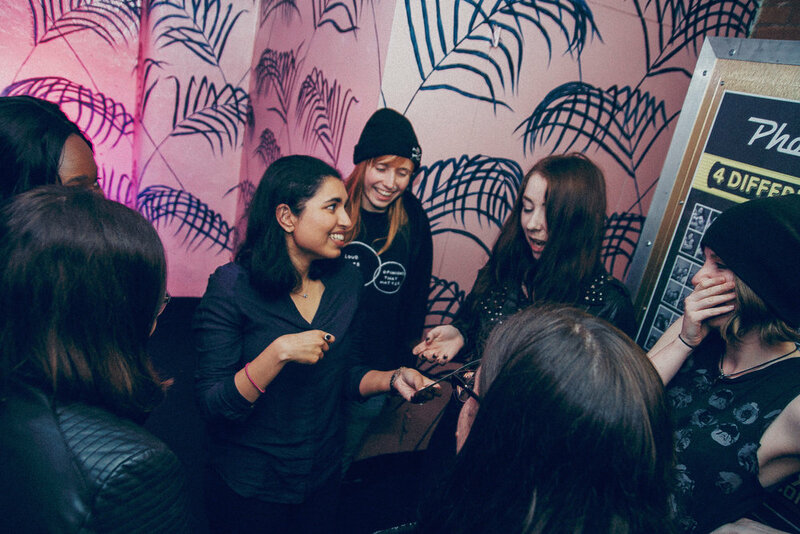 We'll have a night of stories, tomfoolery and excellent Christmas jumpers to launch Issue 1.  There will be readings from the writers of Edinburgh’s newest independent, alternative publisher (hi, that's us), including CHRISTINA NEUWIRTH, CHRIS MCQUEER and GAVIN INGLIS!